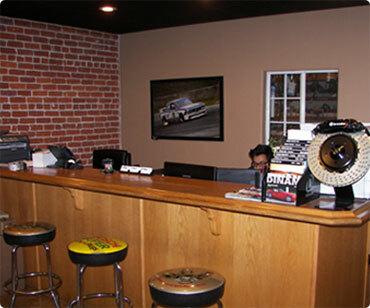 Whether you live in Beverly Hills, Santa Monica, Encino, or North Hollywood, Avus Autosport is the place for all of your BMW or Mini Cooper repair, service, and performance needs. We welcome and service BMWs and Mini Coopers from all over the Los Angeles area because your BMW Mini requires a service shop with a solid combination of trustworthy professional workmanship, a golden reputation, unsurpassed experience, reliable customer service, and top-notch equipment all at a fair price. Do you live in West LA, Westwood, Santa Monica, or West Hollywood and need work your BMW? For the larger jobs we can make the Avus experience even easier by coming to your house and picking up your car (on a case by case basis) and then delivering it upon completion of work…please call to inquire about this service. Avus Autosport gives BMWs and Mini Coopers the proper service they need and the customer service you need. Our extensive inventory of BMW factory parts guarantees quality BMW service in a timely manner at a price much less than the dealers. In fact, on average we operate at 30-40% less than local BMW dealers. At Avus you can spend less and receive more with the best BMW Mini service in the Los Angeles area. Taking your car to the dealer is definitely not the best option for regular maintenance or repairs. Los Angeles BMW Mini dealerships may keep only a few experienced technicians in order to keep costs down. There is absolutely no guarantee that just because you pay extra to visit a dealer, that the technicians attempting to diagnose a complex problem have the know-how to complete the job right the first time. We have customers under factory warranty who steer clear of the dealer simply because they are tired of incompetency. We are the BMW Mini dealer alternative for all areas surrounding Glendale such as Alhambra, Arcadia, Altadena, and Azusa. I started Avus Autosport because I wanted to create a team of BMW specialists who would treat the customer properly, thoroughly explain their recommendations, and build trusting relationships with our clients. Lastly, I needed to be assured that all of our BMWs & Minis were safe and under the care of the best BMW service hands available. Our customers know whether they own a classic or contemporary BMW, it is kept inside our facility at all times. No worries about nasty weather or simply running late to pick-up your BMW. You can rest assured it is always safely kept indoors. We will even wait late for you to make it more convenient for you to drop off or pick-up your BMW. Avus Autosport has also invested in numerous factory and BMW/Mini tools and diagnostic equipment. This additional benefit pushes Avus even further ahead of our competition.